“If damnation comes from the judgement of humans, we can only look to God for salvation. It is a key strand in Christian thought that there is a profound version of justice beyond the ability of humans to order themselves, and if that is the case, we must therefore rely on a divine mercy if we are to escape the risk of damnation. Hence the human soul awaiting the advent of grace (chapter 1), hence our individual experience of resurrection (chapter 6). Hence the importance of the gospel story (chapter 2) in offering two ways out: resurrection in order to overcome Jesus’ cruel and unjust execution, and through the sacrifice of his innocence, redemption from the pain of human sin. “The notion of sacrifice is a long way from clear-cut American justice in the movies. In Westerns, the hero makes law with the gun settling matters not through any judicial procedure but by natural intuition of how corruption is to be dealt with, a gift that both sanctifies his violence and as it were lends him the necessary skill with a gun. Moral superiority translates into a practical one. But Hollywood has created another version of this myth, that of the gangster who uses violence to assert his difference from, and antagonism toward ordered society. He is the dark doppelgänger of the Western hero, and the central protagonist of dozens of films. Among the films I then discuss or refer to in passing are: The Godfather films, White Heat, The Big Heat, Bad Lieutenant, The Funeral. 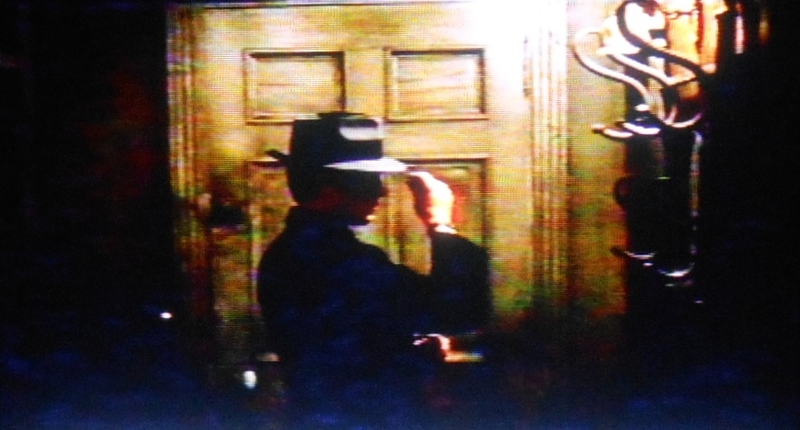 That leads into a consideration of the ‘atheist’ gangster films of Jean-Pierre Melville, especially Le Samourai.